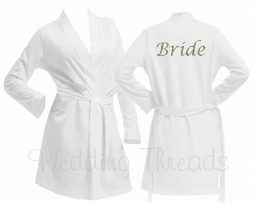 Wedding Threads have become a leading supplier of Personalised Dressing gowns and Wedding Morning Pyjamas. 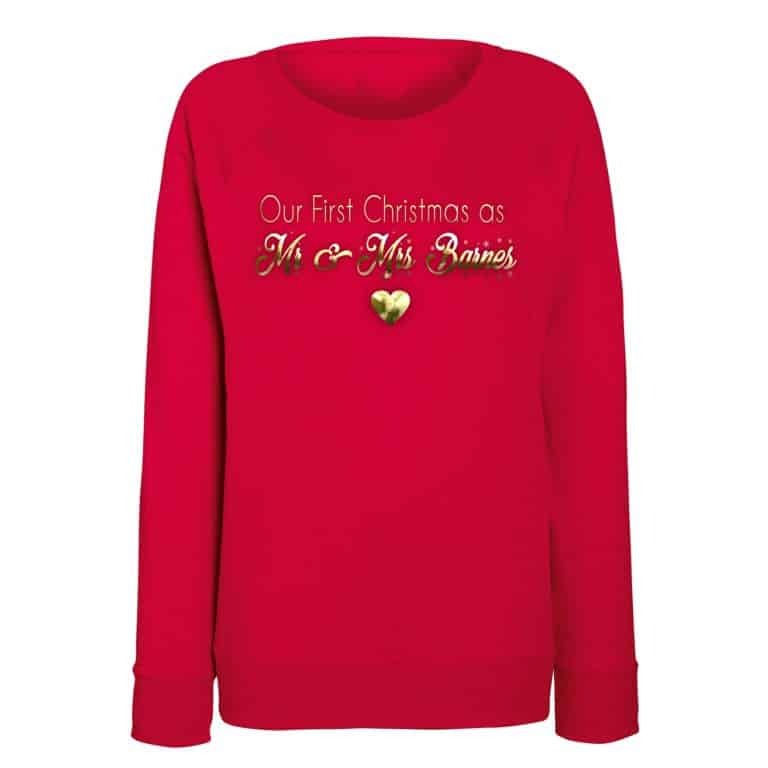 Our selection of Personalised gifts are custom made right here in the UK. 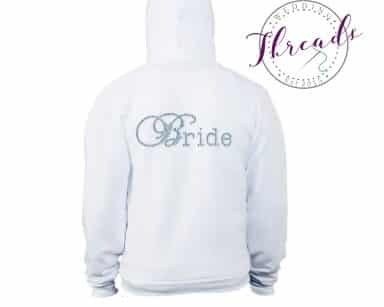 One of the only suppliers that create personalised wedding items where you can come and get everything for your Wedding Party in the same place. Taking the stress away from trying to find multiple places to treat your girls. 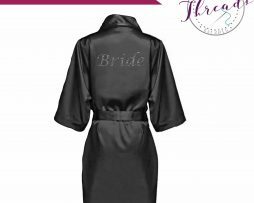 And get ready for your Wedding morning in style. 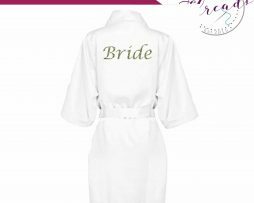 So why not take a look at our online boutique for Luxury Wedding Dressing Gowns & Bridesmaid Pj’s for the Bride to Be, Bridesmaids, and Bridal Party – View our extensive range of Personalised robes. 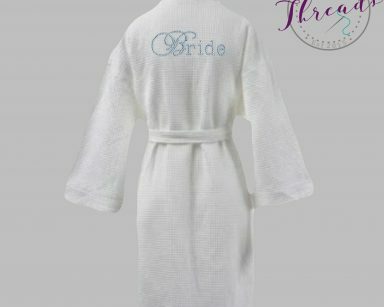 All complemented by our getting ready wedding clothing collection including children’s robes! 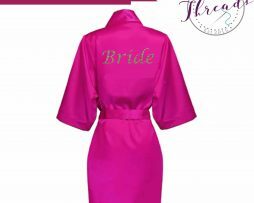 Looking for Bridal Party Dressing Gowns? 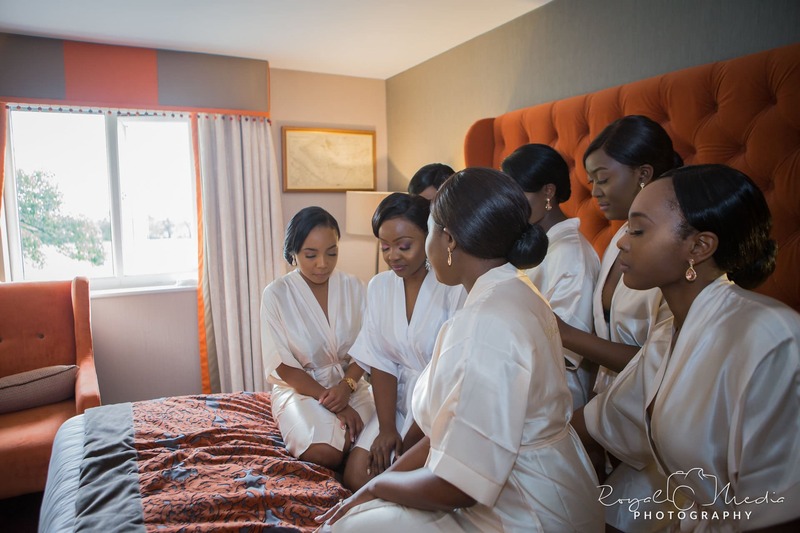 First things first you will need to sit down and plan what you and your Bridal Party will wear on the evening before your big day. 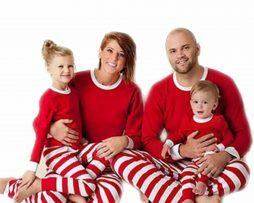 Make a note of your Bridal Party including the children. 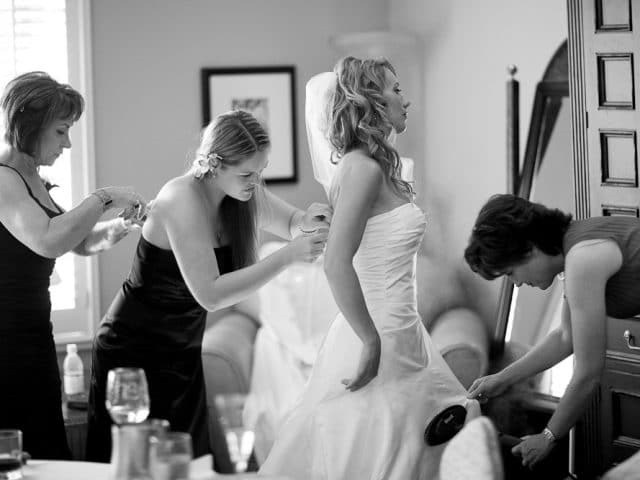 We cater for all not forgetting the mother of the Bride and Mother of the Groom. When you’re in the hotel with all your Bride squad you want something that looks great and feels special. 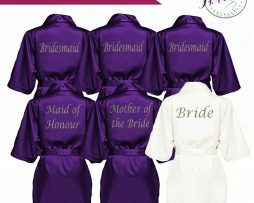 This is easily done with our finest range of Bridesmaid Pyjamas and Bridal Nightwear. 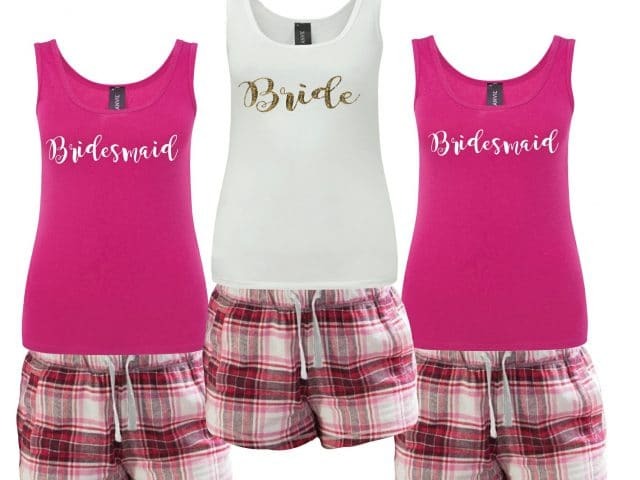 We have everything you could ever want from the silky soft Satin Pyjamas and cami sets to the cosy cotton checked Bridal Party pyjamas, maybe for the colder months. 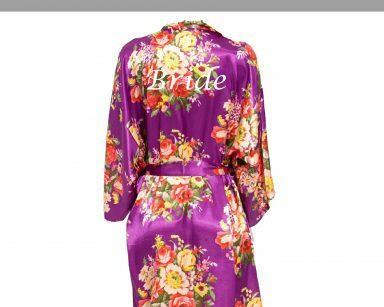 Next step is to coordinate the Wedding Pajamas with a beautiful Personalised Satin Robe. 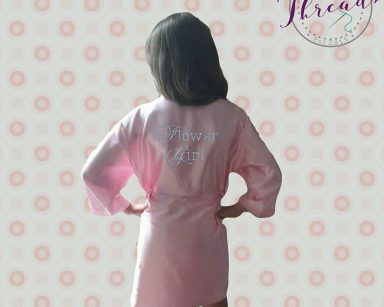 We have a selection of matching Childrens dressing gowns and PJs for them to feel included. 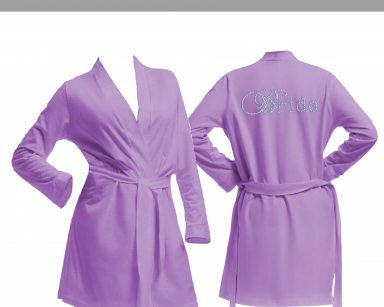 Our personalised pyjamas and Robes make the greatest gifts and furthermore make great photographs when your photographer arrives. 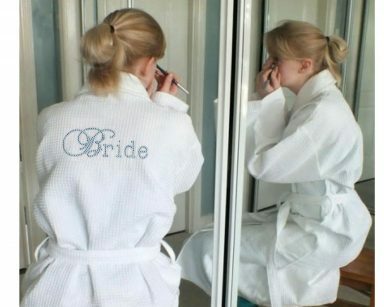 We make it so easy to shop for all your personalised items so you don’t have to worry about anything when getting ready. 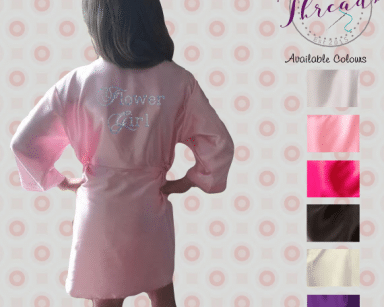 Not only do we create the finest range of Personalised PJs but we also supply luxury gift boxes for them to be carefully placed in along with a few special bits and pieces. When you spend £100 or more! 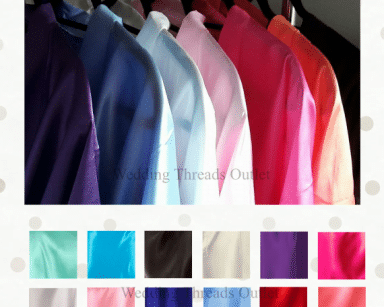 To qualify for FREE delivery on your Wedding Robes simply spend £100 with Wedding Threads and the discount will automatically appear on checkout. 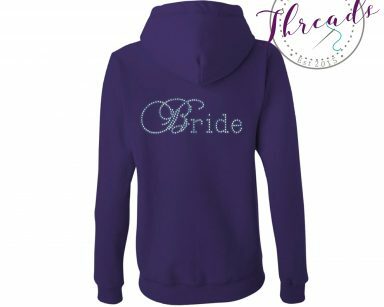 This also applies to our Bridal Pyjamas and every personalised range we do. 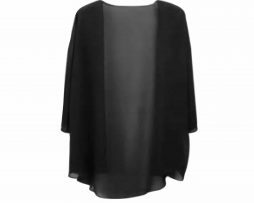 Item for a present? Have it Gift wrapped. Gift wrapping service. 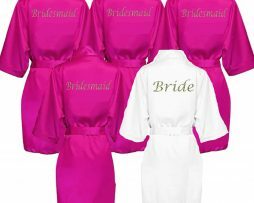 Truly Personalise your Bridal party gift with one of our gift wrapping services from as little as £2. 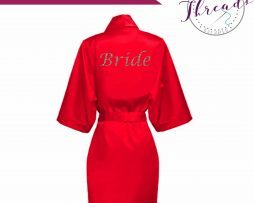 Treat your Bride to be with a surprise Robe all wrapped and presented beautifully. If your in a hurry speak to us! 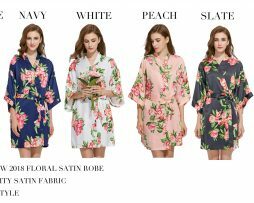 Urgent Order? 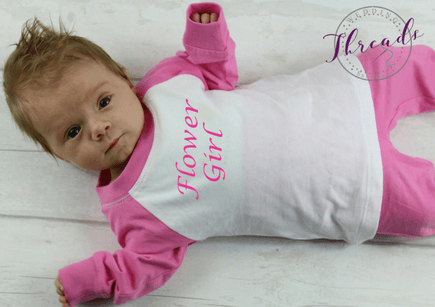 No problem we have express delivery on all personalised garments. 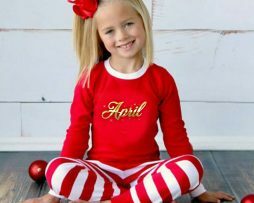 Order from the UK’s largest Personalised clothing supplier from as quick as 7 days. 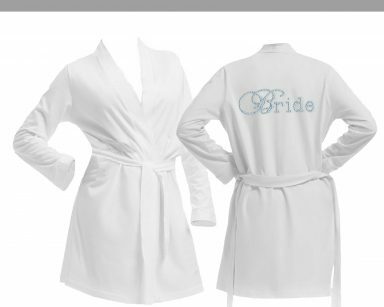 The Wedding Robes are perfect! 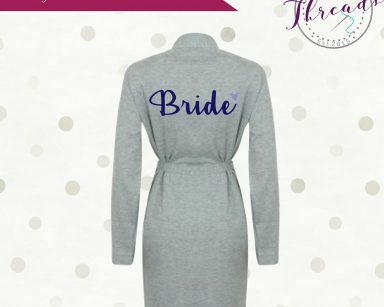 I am so pleased with my Personalised dressing Gowns, They arrived quicker than expected and fit amazing. 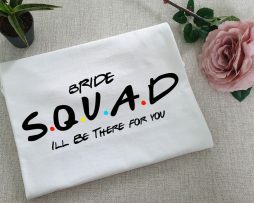 Recommended to all my friends who are getting married. 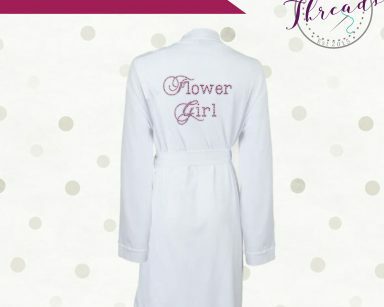 ♥ My Bride to be PJs! 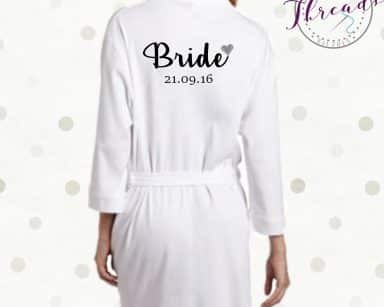 Absolutely love, my Bride to be PJs! 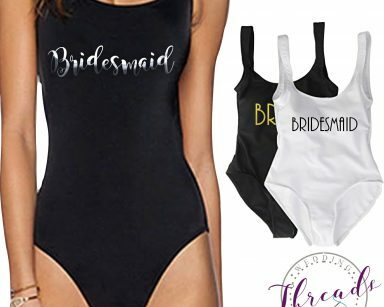 As you know I was only going to treat myself but when I received them knew I had to get them for my Bridesmaids. Thanks for getting them out to me so quickly they loved them. 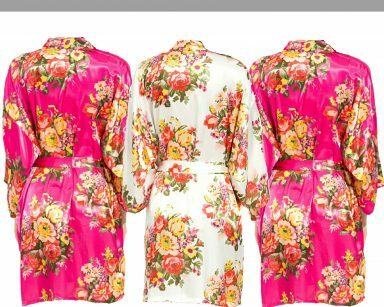 Thanks for my Pyjamas order it arrived today. They are perfect for the evening before my big day and just as I expected. I will be recommending you to my sister for when she gets married. 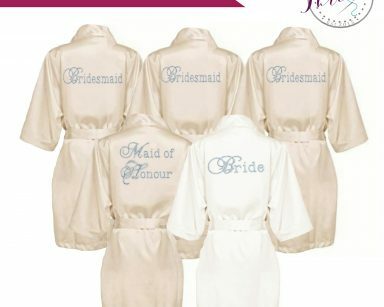 Love Love LOVE the Wedding Party Robes! 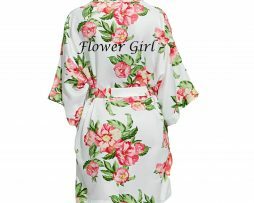 Just picked my order up from the post office and I am so happy with my personalised dressing gowns. 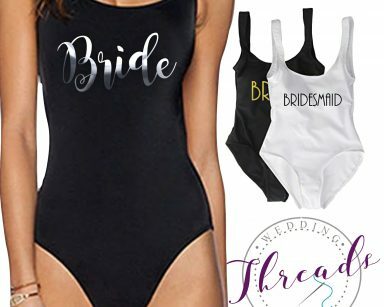 My bridesmaid was with me and we just love, love LOVE them! thanks for everything. 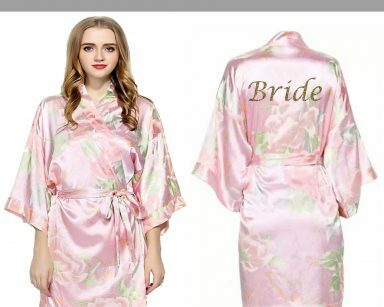 I will be forever grateful for our Bridal Pyjamas. The girls looked amazing on the evening before our Wedding. 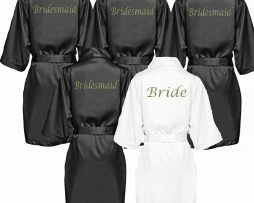 I ordered Bridesmaid pyjamas for my girls and they looked amazing! 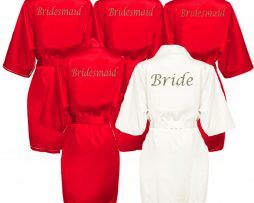 The quality of the Bridal Party pyjamas is the best ive seen yet! so much value for money. 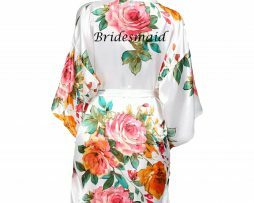 Brand New Website For Bride and Bridesmaid Robes!